My name is Tessa and I live in a small town in the south of the Netherlands, just below Eindhoven. I live there with my cat and 2 zebra finches. My cat is all white, with black ears and a black tail. She is 6 years old and a bit crazy. Her name is Poes, wich is the dutch word for cat. Her favorite toys are the simple little grey mice, she turns her back on all the fancy stuff I've got her. My birds are names after my grandparents. I used to work at a theme park called De Efteling. The park is all about fairytales, everything has something to do with it. It was really fun working there. Especially because I operated rides in the rollercoaster section of the park. Now I work at a store that sells clothes, kitchen stuff, toys, craft supplies and more. In my free time I like to be creative in many ways. I enjoy many crafts. I'm crocheting a lot of stuffed animals. it's so fun to see them come to live, adding arms and legs. Most of the time I crochet animals from designers like: Stip en haak and My Krissie Dolls. I like my animals stripey and with bold colors. I also enjoy stamping, coloring the images with my polychromos pencils, making cards, journal pages and mail art with them. I also like to watch movies/netflix, going to the zoo or the Efteling, and reading. Please leave a comment when raiting. I promise that I won't flake! Please contact me before rating me a 1 or 3! In the summer months (june - september) I'm active in a group for the local flower parade. 14 groups build a big float and on the second sunday in september we have a parade. The building proces takes 3 months (bending iron, welding it together, stick cardboard on it, glue paper on it, and painting) after that we only have 2 days to put al the flowers on it (200.000 in total per float). We use dahlia's they are so pretty and have many colors and forms. The flower parade in Zundert is always on the first sunday in september, 1 week before ours. The theme this year (2018) is all about making an old float-design new again. We all had to choose a winner from years ago (1953-1991), and make it 'new'. Our design is about a world famous circus. WE WON 4TH PLACE AGAIN. It's the 3rd time in 4 years we got 4th. It's really good because most years we end up in the middle, somewhere around 8 or 9. Our elephant was so cool! She even moved her head, ears and trunk like a real one. Youtube video of our float Watch this! Our design last years (2017)was called: Polle's Keuken. (this translates to Polle's kitchen, Polle is a boys name), so we made a float about the pancake restaurant in theme park De Efteling that has that name. We won 4th place with Polle!!!! so happy! Also we won a prize for being innovative for adding the smell of pancakes to our float! For Pictures of the floats our group made you have to look by Wilhelmina (at the bottom, under 'wagenoverzicht'). You can look by year (jaargangen) or by group (buurtschappen). Our group is named after Queen Wilhelmina, she was the Queen when The Netherlands was liberated after the 2nd world war. The flower parade started out as a little celebration of freedom with decorated bicycles and carts, it has become much bigger than that. I do a lot of things, and will try almost everything. I like to crochet stuffed animals, upcycle things, make envelopes, boxes and gift pouches, mixed media, make mini albums from paper bags, knitting, stamping, drawing, sewing, flipbooks, facepainting, coloring, making halloween costumes, pocket letters, working on my art journal, helping out with the flower parade and much more. I just re-opened my etsy store to sell the items I make. I would really apreciate it if you find the time to take a look. More items are comming soon! I love the look of watercoloring, and that is one thing that I just can`t make happen. I love to learn how to make beautiful watercolor art. So, if you have any tips and tricks, tutorials and how to's, please let me know! I started collecting enamel pins. And I would love to swap some. So if you want to trade some pins with me, please message me and we can set up a private swap! * mermaids, fairies, old school fairytales (not a big disneyfan). * sewing patterns of Cashmerette, (I already have the appleton dress, turner dress and concord tshirt). * Lawn Fawn! I love their stampsets! And I don't mind if they are used, as long as they stil work wel. * things for in my junk journal, I prefer the following styles but everything is welcome: botanical, steampunk, vintage, tickets and tags, flowers, feathers, postal theme, old sewing pattersn, birds, vintage office papers, library cards, washi tape and washi stickers in these themes. I prefer the 'old' looking things over bold 'new' colors. 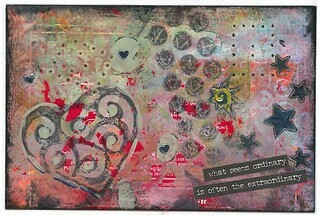 * mail art, i love colorful and decorated envelopes! * strawberries, cherries, raspberries, blackberries, blueberries, just any berries! reward or kiddie stickers, stickers in the themes in the like section above are ok. I wear size EU 39 / UK 6 / US 7,5. I prefer them made of cotton (more than 70%) or an other natural fiber. Mosr of the time Iwear sneaker socks. I like them black, colorful, striped and with polkadots (no neon or pastel colors). For swaps that requires more than one gift to be send. I'm very pleased to get 1 gift worth the total amount you have to spend instead of several small gifts. It's your choice what to do. As for my etsy wishlist. This is a list of things I would like to recieve (obviously) but I don't mind if you order it from another shop or website, as long as it is the same item. Maybe you find it cheaper else were or with less shippingcosts. Please don't cover your mail art with clear packaging tape. Comment: Waow wat een mooie kaart is het al! Prachtige kleuren en met verf technieken gewerkt. Best spannend om dan de laatste ronde te zijn en deze in teamwork 9 af te maken. Response: Veel succes met het afmaken can het kaartje! Thanks for the heart! Comment: Wow, Tessa, wat een prachtige enveloppen! Ik moet er nog aan beginnen en ben heel blij met jouw voorbeelden, dat geeft me weer inspiratie! Leuk ook, dat getypte briefje! Ik was gisteren in Valkenswaard (bijna elke vrijdag) en heb even getwijfeld of ik mijn swap voor jou niet gewoon in de bus zou doen! Response: Haha, daar twijfel ik ook af en toe aan, maar je adres is net niet de goede richting op als ik van werk naar huis rijd :p, ben blij dat je de enveloppen mooi vindt! Thanks for the heart! Comment: Hoi Tessa, bedankt voor de prachtige swap! Goed idee om de paperclip met washi te bedekken! Het is een heel mooi geheel geworden! Heel fijn weekend voor jou. Response: Ik vind die half doorzochrige washi altijd super om te gebruiken over een zboekpagina! Thanks for the heart! Comment: Wow! This is amazing! I love the pearls and how everything works together. Such a great ocean theme. Love the ocean! Its going up on my happy wall! Response: I liked this one too, almost kept it for myself :p the is for the heart! Comment: Ha die Tessa, wat een ontzettend leuk en vrolijk flipboekje heb je voor mij gemaakt, perfect gewoon! Ik krijg helemaal zin om zelf ook zoiets te maken! En heerlijke spulletjes ook voor het verwen moment! bedankt voor een super mooie swap! Response: Graag gedaan hoor! Mijn volgende envelop naar jou ligt al weer klaar :P Thanks for the heart! Comment: Hi Tessa! As always, your work is beautiful. I'm always so pleased when you are my sending partner because I know I'm in for a treat! Thank you so much for the lovely tags. I really treasure them! Response: Thansks so much for the compliment! I had a lot of fun with this swap. Thanks for the heart! Response: Alles komt goed :P Thanks for the heart! Comment: Hij lag vandaag in mijn brievenbus, ik ga hem afmaken en dan naar huis sturen. Bedankt voor de leuke extra's. Response: Graag gedaan! Thanks for the heart! Response: Graag gedaan hoor, ben blij dat je hem leuk vindt. Thanks for the heart! Comment: I love the way your page turned out ! Just my style ! Thanks for the extra cutouts as well ! I can't wait to use them. Response: You're welcome and thanks for the heart! Comment: Thanks so much for the lovely signature! I love all the papers you chose to send. I was reading all the comics while thumbing through it! Response: I'm so glad you like it! It was fun to put this signature together! Thanks for the heart! Comment: This one got here:> I would imagine the first one did not because the mailman thought the 4's were 9's in the zip code:< Thanks for the resend. Response: I'm glad this one did arrive! 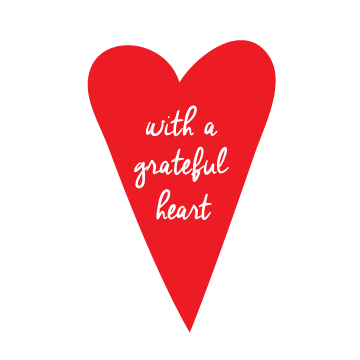 Response: Graag gedaan, thanks for the heart! Comment: OOOH, wat stom van mij...ik dacht dat ik je al een rating had gegeven voor deze fantastische swap. Wat een mooie en creative PL heb je voor me gemaakt. Ik wordt zo happy van die gekke Lama's! Leuk al die speciale dingetjes die je erin hebt gestopt, zoals de cactus fabriek. Top! Heel erg bedankt! Comment: Thank you for the beautiful card, I love the background you made!! Comment: Wow!! Gorgeous! I love this page - there is so much yumminess going on, I love looking at it. Thank you so much (and for the cute planner stickers!) this one deserves a frame! Comment: The background is beautiful, I can't wait to work on it! Thank you for the extras, especially the die cuts. I loved the envelope, too. Response: I can't wait to see it back, thanks for the heart! Love your part on my Love P&P....Thanks! Thank you for working on my collaboration postcard. The dragon over the girls face is very interesting and cool. @aladyjackson received her postcard back and loves your addition. She says "Thank you". Thank you for adding the watercolor flowers to my HD/HP Pass and Paste. It's great. Thanks for adding the mermaid to my Collaberation 55 card. It turned out great, one of my favorites!